Why Should Your Firm Use Client Engagement Standards? Here’s a quick factoid: In 2013 (yes, I know that seems like eons ago, but the information is still valid), the ABA Standing Committee on Lawyer’s Professional Liability conducted a study on malpractice claims to see where they originated. They reported that 16% of all malpractice claims were caused by poor client communications. 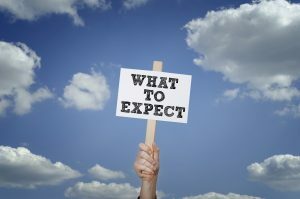 Even apart from the seriousness of malpractice claims, general grumblings from clients about not being aware of certain law firm procedures or expectations puts a bad taste in everyone’s mouth. In my blog last week, I talked about four reasons why clients stick with their law firms. The top reason clients stick around? Because you’re dependable. They know what to expect when working with you, you do what you say you’ll do, and you can be trusted. Written Client Engagement Standards are one way to ensure there is no misunderstanding about who will be doing what and what clients and the law firm can expect from each other, and are also a good way to protect yourself from malpractice claims. That’s pretty much a no brainer, huh? Even if your local bar association doesn’t require client engagement standards, providing that sort of “road map” for your clients is one of those things in your law firm that just plain makes you better (ahem – the second reason why clients stick with their law firms… just saying). So what should be in your client engagement standards? Client Communications. This is, without a doubt, the most important part of your engagement standards. Remember: You are in the relationship business. You want people to stick like glue to your firm and feel taken care of. Being very clear upfront about how you will communicate with clients (Email? Phone calls? Letters in the mail? ); how soon they can expect phone calls or emails to be returned; and the best way to get in touch with the firm (should they call and ask to speak to the attorney directly, or can another team member more efficiently answer their questions?) will ensure that you have set the stage upfront with all new clients about what to reasonably expect from your team. Staff. Clients of your firm should know that your staff is an extension of you and are able to take just as good care of them as any attorney would. Brag on your staff a little and tell your new clients about how much other clients love your team and that they will always treat all clients with respect and professionalism – and expect the same in return. That last part is a big one, too. Privacy. While it should go without saying, say it anyway. Client confidentiality is a serious matter and they need to know you handle it as such. Timeliness. Time is our most valuable asset. Let your clients know you will always respect their time by starting and ending all meetings on time. You’ll also take care of their friends and family! The conversation about referrals to your firm starts here. Share with your new clients about how others love working with you so much, they often refer others – and you look forward to getting to know their family and friends, as well! One of your promises to your new clients should be that anyone they refer to your firm will be treated with the same professionalism and care which they have come to expect after working with you. What you expect from them. Yes, this is a two-way street. Be sure to outline what you expect from your clients. From keeping and arriving on time to their meetings, treating staff with respect, letting you know of any life changes, communicating with you if they have concerns about their expectations of the firm being met, to sharing positive reviews on social media and telling their friends and family about you – it’s just as important that they know what you expect from them so your long-term relationship is as beneficial for both of you as possible. Being clear upfront with your clients about what they can expect when working with you and your team, as well as what you expect from them ensures that you are able to have a long, healthy relationship with them and better care for them and their family. Plus, it shows some pretty stellar client care when you bring out client engagement standards that show exactly how you plan to take care of them – that is a transformational experience.